Teeth that need crowns are either unattractive or weakened to the point where they need support. A crown is a tooth cap that covers structural or cosmetic imperfections; it looks exactly like a real tooth. Situations where dentists suggest crowns are after a root canal, to strengthen a tooth to hold a bridge or when a tooth is cracked or fractured. People also get crowns for cosmetic reasons. Do Family Dentists Offer Crowns to Their Patients? You can get a tooth crown in Capitol Heights at our practice; it does not require a visit to a specialist. Our dentists routinely help patients improve their smile with a crown. Are All Crowns Made From the Same Material? No, certain materials are better for front teeth and others for molars. Ask the dentist which materials would work best in your situation. As dental caps, metal-based crowns with a porcelain outer surface are stronger than natural teeth; however, porcelain crowns are not as translucent as natural teeth. If you are not getting the crown on one of your front teeth, translucency typically is not a consideration. A ceramic crown is the most aesthetically pleasing; dentists often recommend ceramic with a porcelain-based filling for patients seeking a front tooth crown for cosmetic purposes. A gold crown tooth possesses incredible strength; it will not chip or crack, even with a heavy bite. Few patients request a gold tooth crown for their front teeth, but for a molar, gold is perfectly suitable. How Much Will a Crown Cost? 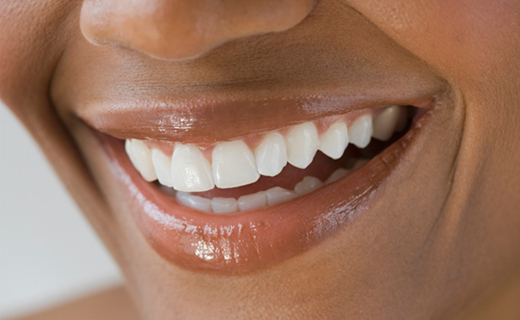 We understand that the dental crown cost is an important factor for our patients. Our dentist will explain your estimated cost, which depends on the material that you select for your crown, as well as whether you need additional dental work. Your insurance may pay for a portion of the work and the crown itself, unless your crown is purely cosmetic. Discount dental plans may also make a crown more affordable. Call our office and our helpful office staff can answer questions and schedule an appointment. The dentist will give you a local anesthetic and then start preparing your tooth for a crown by filing it down, making sure that no decay is left. Then, the dentist makes an impression of your tooth so the lab can make a customized tooth crown for you. You will go home with a temporary plastic or steel crown, which will hold until we receive your permanent crown back from the lab. You will return for a second visit so the dentist can fit your permanent crown. Will I Have To Do Anything Extra To Care for my Crown? If you have good oral health habits, including brushing two times a day and flossing, there is nothing special that you need to do. You should treat a crown as if it were any other tooth.